What have been called the most dangerous and addictive drugs to hit Colorado in many years, the Colorado State Legislature passed the new law very quickly. One must ask why? The new law, passed and enacted on the signature of the Governor creates a criminal penalty for the possession of cathinones, the dangerous chemical used in bath salts. It also creates a penalty for anyone who distributes, manufactures, sells or purchases cathinone products. “Bath salts’ produce a high similar to cocaine or ecstasy, were legally available at so called Colorado “head shops” – alongside bongs, pipes, hookahs and other drug paraphernalia. Bath salts–(a synthetic drug) are still readily available online. They were first popular in the South and Midwest and only recently became popular in the Northeast. The highly-addictive drug may be snorted or injected and the high can reportedly last between 20 minutes and four hours. Bath salts are generally considered to be synthetic amphetamines Visit Website. The symptoms of all types of bath salts tend to be the same. Users may become agitated or paranoid, have critically high temperatures and blood pressure, and suffer from delusions, schizophrenia, hallucinations and muscle and kidney problems after coming down from the high. The level of drug charge that bath salt possession brings can vary, depending on the circumstances of the case as well as the defendant’s previous record. A drug crimes defense attorney will usually first see whether the charges can be dropped or reduced. 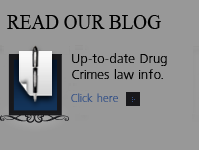 If not, for those who are charged with their first offense, it is usually important for a criminal defense attorney to look into any resolutions involving drug treatment programs and other measures. 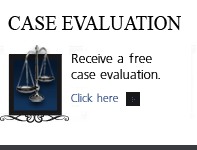 If it is a subsequent offense, it would be important for a defense attorney to follow a more aggressive strategy. 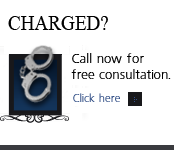 Possession of ANY amount is a class 1 misdemeanor ( up to two years in county jail and/or $5,000.00 fine. 18-18-406.7. unlawful possession of cathinones. (1) it is unlawful for any person to possess any amount of any cathinones. (2) a person who violates any provision of subsection (1) of This section commits a class 1 misdemeanor. 18-18-406.8. unlawful distribution, manufacturing, dispensing, or sale of cathinones. (b) induce, attempt to induce, or conspire with one or more other persons to distribute, manufacture, dispense, or sell, or possess with intent to distribute, manufacture, dispense, or sell, any amount of any cathinones. (b) induced, attempted to induce, or conspired with one or more other persons to distribute, dispense, or sell any amount of any cathinones to a minor under eighteen years of age who is at Least two years younger than said person.